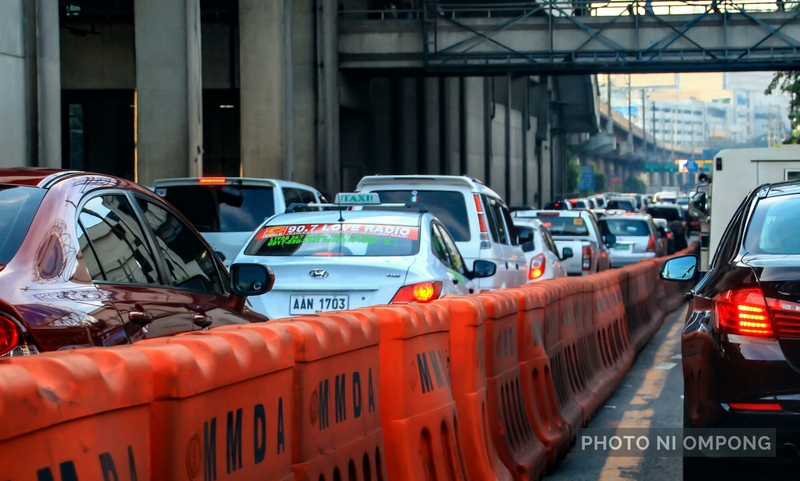 The fastest speed you can drive during rush hour in Metro Manila is at 10 kilometers per hour! And what are the lane barricades for…? These barricades were meant to separate the lanes for the public buses and the lanes for the private cars. In addition, we need the barricades to stop the motorists from swerving left and right further worsening the traffic! That’s how “professional” most of the Filipino drivers are, sarcastically speaking. The drivers counterflow in a “no counterflow” lane. They stop right in the middle of a “no blocking the intersection” sign effectively halting the crossing traffic. They park in a “no parking” area and complain in the social media how inconsiderate the traffic enforcers are if their cars are towed. They park inconsiderately along the roads since some motorists buy cars without a garage in their houses making a two lane road as one lane. They park in slots meant for those with disabilities. And so on and so forth…! Just to sum it up, majority of the Filipino drivers have driver licenses (probably was able to obtain it by just paying a fixer at the LTO) but most of them don’t know a thing how to be a “considerate and disciplined” driver! It’s this way! No, it’s that way! Just like the moms here. No, they don’t drive well, just hauling a van full of screaming kids while trying to rush home.